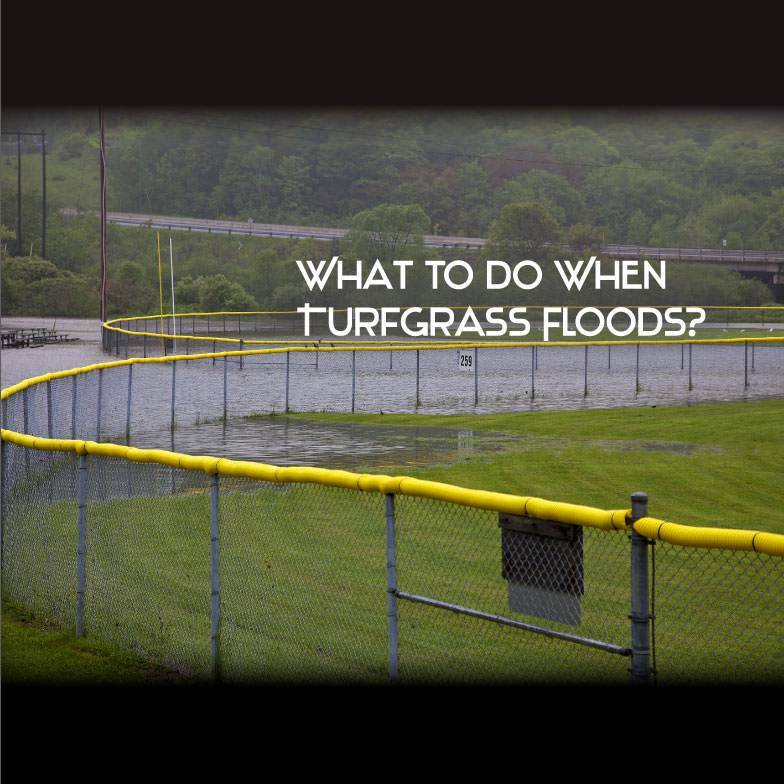 You are here: Home / Sports Turf / What to Do When Turfgrass Floods? What to Do When Turfgrass Floods? Sudden changes in climate, environmental changes and even other people’s irrigation techniques, can combine in a perfect way and flood the field. This catastrophe is usually unpreventable and the only recourse is to start over and renovate the entire field. 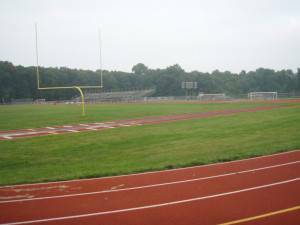 Turfgrass is used for various fields, but is primarily seen in athletic fields, such as soccer and football fields. The following should help any owner or field manager remediate a flooded field. There isn’t much anyone can do while the field is still actively flooded. The first thing the field manager must do is access the damages, but after waiting for the water levels to lower and dry out. It can take as little as only four days under water for turf loss to become apparent and a problem. When a field becomes flooded for an extended period of time, it will lose oxygen as well as its color. However, it is important to wait as long as possible before attempting work. It can take up to two weeks for the field to dry out and become workable and working prematurely can lead to more damage. The method of care differs if the turf was treated with silt deposits or if it wasn’t treated. Repairing the damages on a turfgrass field that has not been treated for silt deposits is a bit simpler then the latter. Use a nitrogen aerator to oxygenate the soil in areas of the field that are in need. Following this, replace the topsoil with about five inches that the water has pushed away. Mixing soil with sand can improve the existing portions of the field that may need a bit of extra care. Most likely, the field that flooded is going to have silt deposits that make their way from local streams, rivers and the city. The first step here is to remove all the junk and scrap that has made its way to the field. During a particular bad storm, it isn’t uncommon to find wood, glass, metal and other types of debris. This is not only a safety issue, but makes doing any work impossible. Likewise, organic debris can be just has hazardous for the lawn. It is important to remove dead leaves, sticks and even dead vermin as they could cause further damage by smothering the grass. If there is only a small amount of silt (less than an inch), then the silt must be removed from the turfgrass’ surface. There isn’t an easy way around this job. Someone can’t simply spray the silt debris away. It will take some physical labor to remove all the deposits. A steel garden rake can destroy the silt deposit but can uproot the turfgrass below and potentially double the work. Of course, the field will need to be oxygenated by using an aerator (nitrogen or otherwise). Finally, if there are many inches of silt deposits on top of the lawn, it may be impossible to fix the damages. The field manager can try to remove as much of the silt deposit as possible to prevent any further damage to the turf. Unfortunately, if over %25 of the field is dead and not growing; then the only option here is to start over completely with new turfgrass. 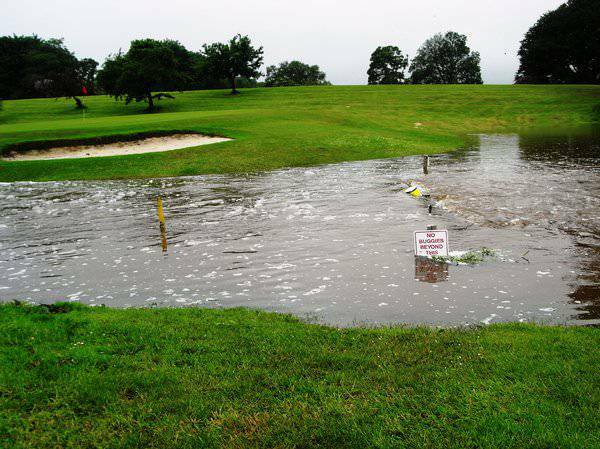 https://cwsportsturf.com/wp-content/uploads/2014/09/What-To-Do-When-Turfgrass-Floods.jpg 784 784 Keith Kitchen https://cwsportsturf.com/wp-content/uploads/2013/04/CWLogo-trimmed-F003-cd1.jpg Keith Kitchen2014-09-02 19:21:422019-04-03 12:49:21What to Do When Turfgrass Floods? Spike Aerator Vs. Plug Aerator How does turf restoration affect your budget?